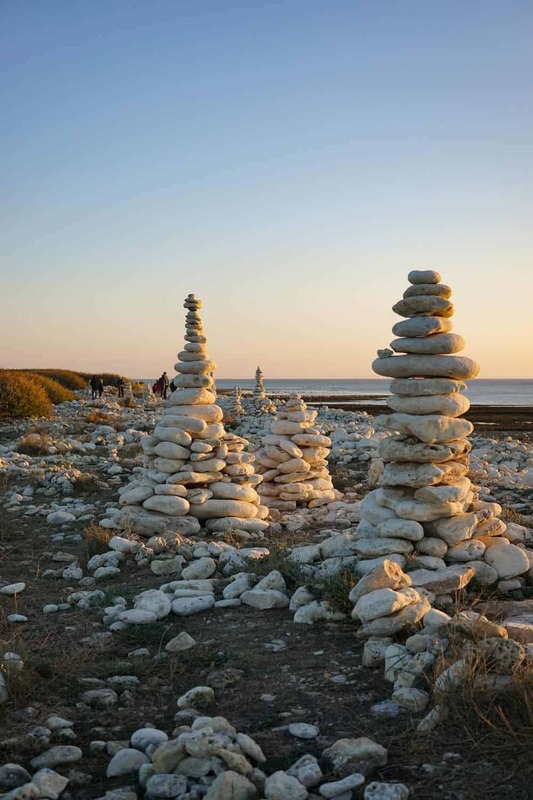 Visiting Oléron Island has been high on my to-do list since we moved to France. 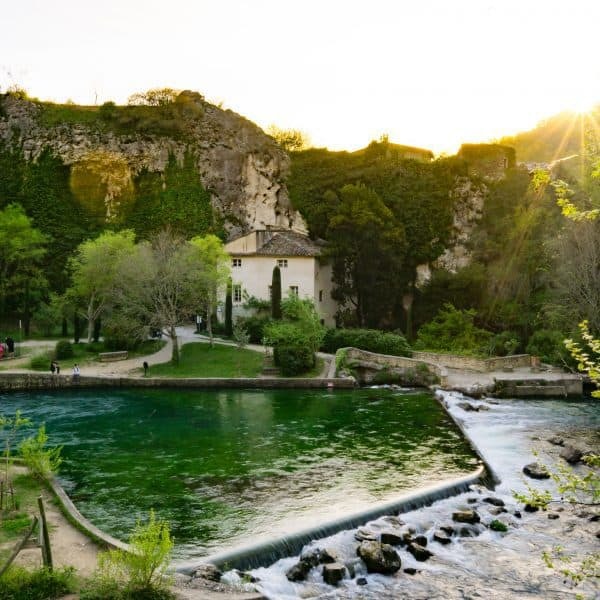 An island that promised oodles of sunshine (it’s nicknamed “la lumineuse” for good reason! ), colossal beaches, colourful towns and impressive historical sites. 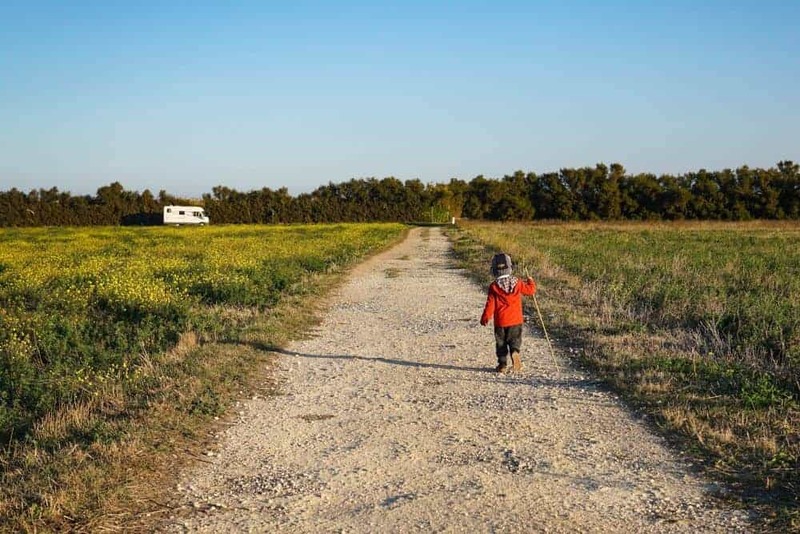 It’s no wonder then, that holidaymakers converge on the island in droves during the summer months in search of an idyllic island holiday close to home. However, the said to-do list was unrelenting. So when we realised that a holiday just wasn’t on the cards at the moment, we decided to pack up the car and head to the island for a day trip instead. 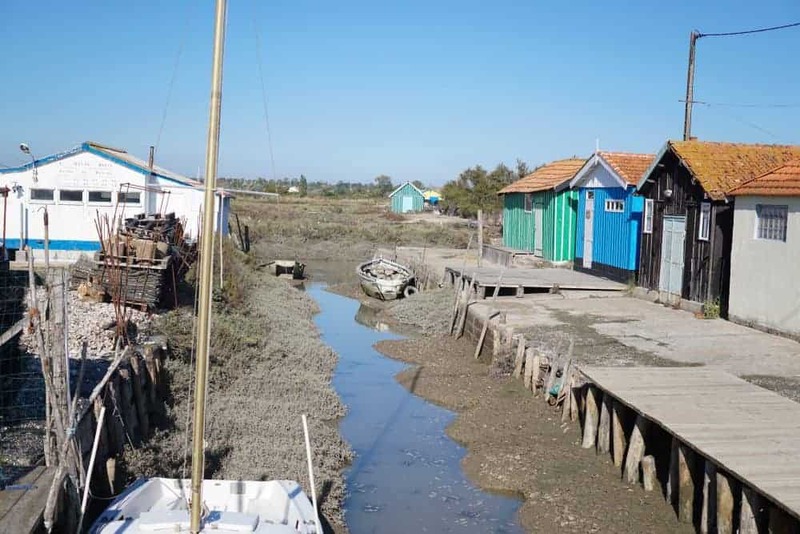 We soon learned that île d’Oléron is an island with a landscape that is as rich and diverse as the oysters it produces. 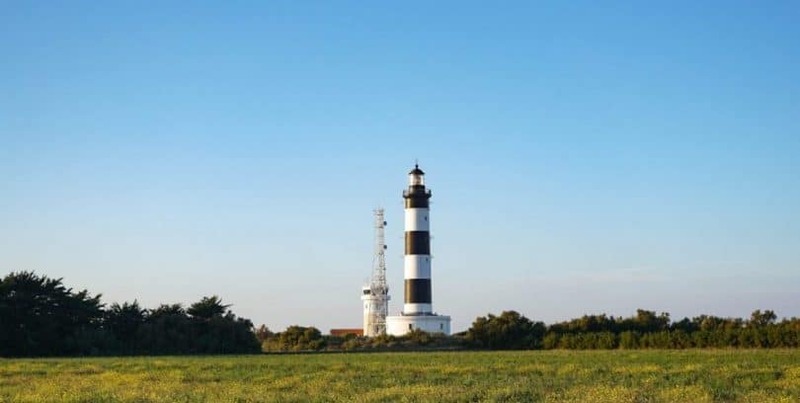 Oléron Island is France’s second largest Island (after Corsica), situated just off the west coast of France. Accessed by a nearly 3km long (toll free!) 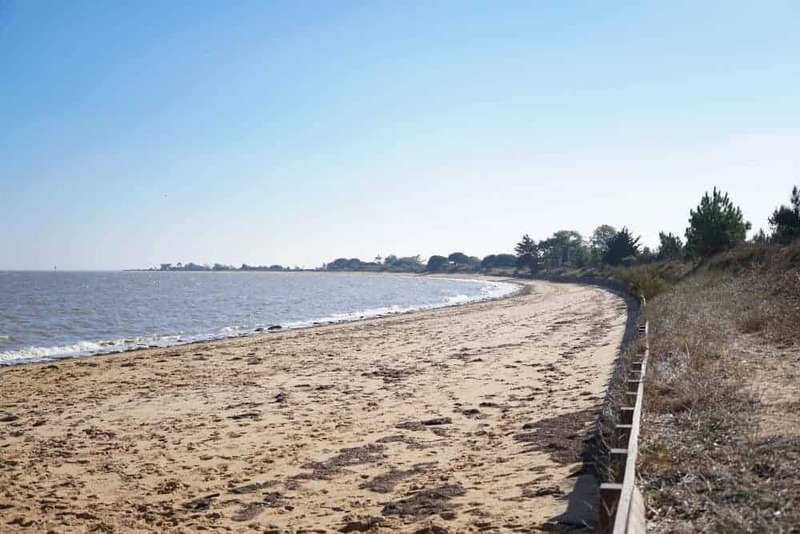 bridge over the Atlantic Ocean, its location halfway between Royan and La Rochelle makes it ideal for day trips from either of these popular seaside towns. 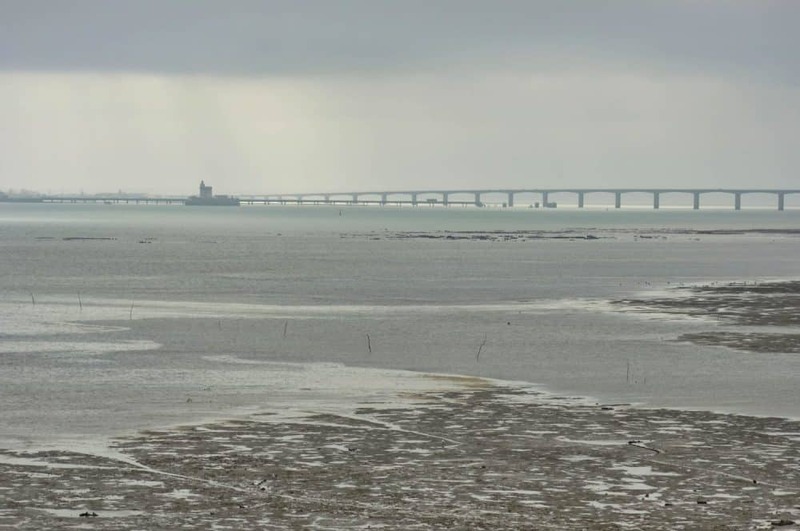 Entering the Island, we set off towards Château-d’Oléron on the south-east coast. Driving through the walled town, we were enchanted by the bright oyster-farming huts which now house an array of artistic endeavours. 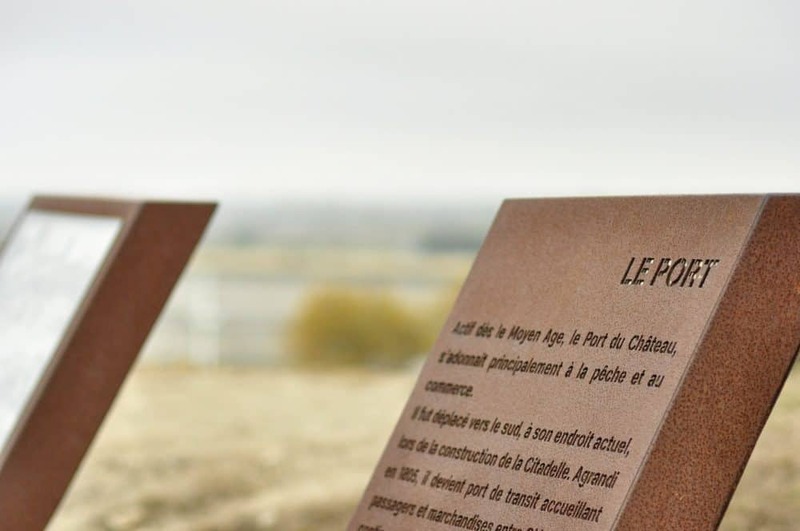 Château-d’Oléron is bursting at the seams with historical attractions. 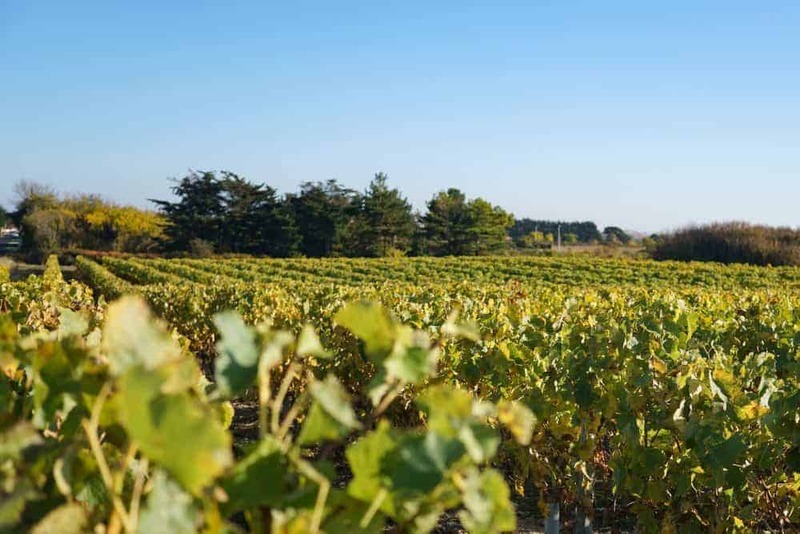 With no map to guide us, it was no surprise that we chanced upon one of the most famous sights – the citadel of the Château-d’Oléron. 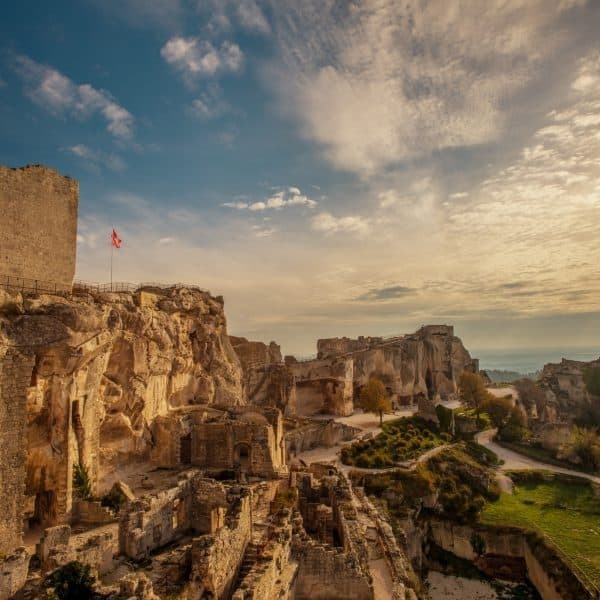 The citadel is over 300 years old and has been transformed many times throughout the years. 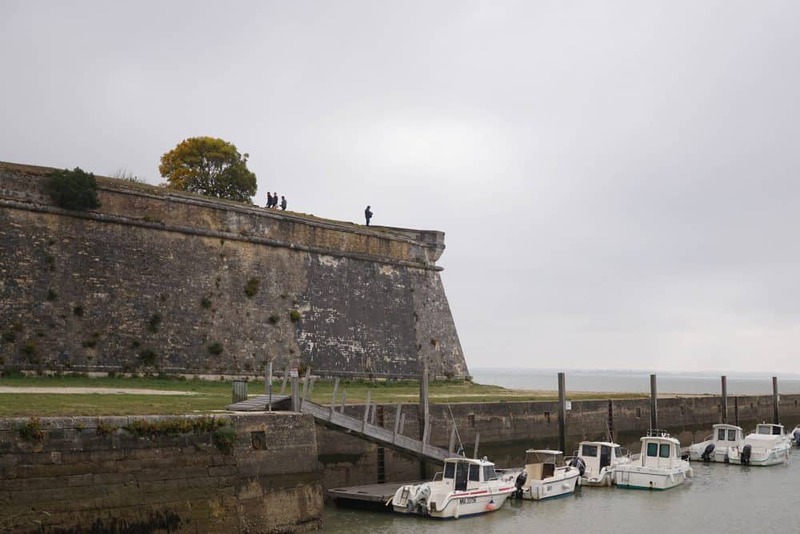 Built originally as a castle, it later became a defence base due to its strategic location at the mouth of the Charente. 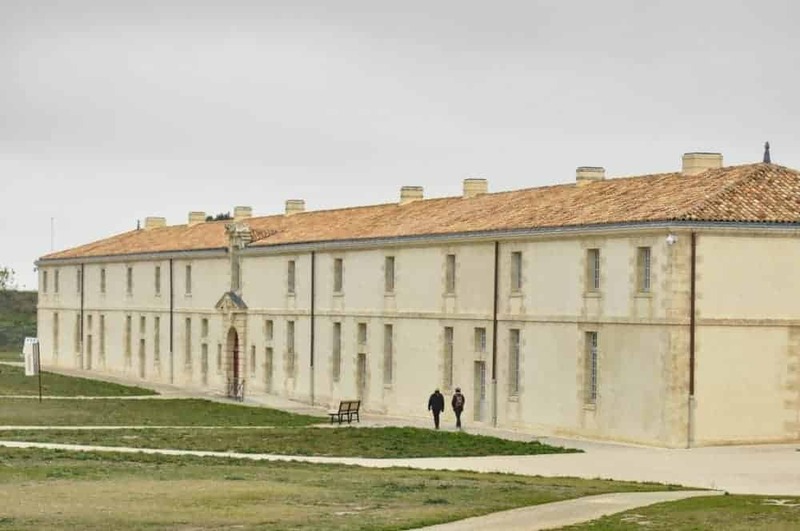 Transformed into a prison during the French Revolution, its military roots came into force again when it was occupied by German forces at the beginning of WW2. 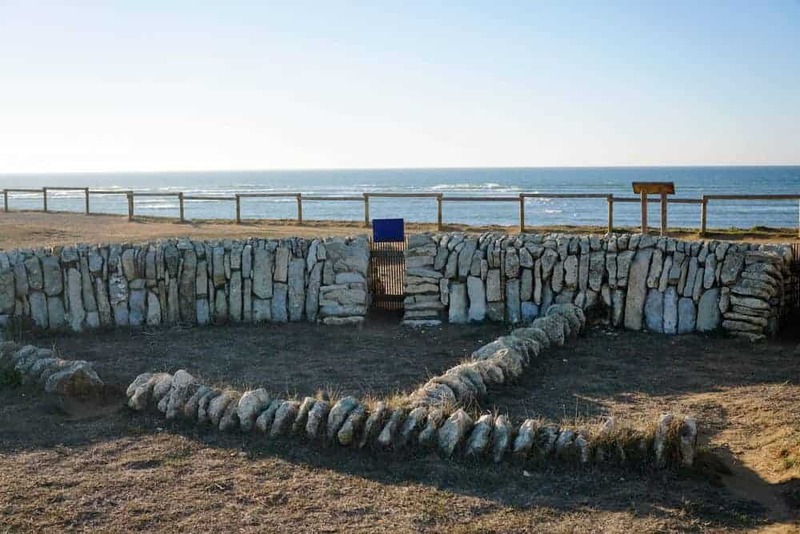 Walking around this impressive site, peeking out to sea through gun holes etched into stone turrets, it was easy to imagine its significant purpose in the war. It still bears the scars of a bombing that happened close to the end of the war in 1945. Nowadays, the citadel is the cultural hub of the town. The grand halls host exhibitions and you can go for a guided tour to learn about its history during the summer months. Leaving the citadel we headed north to the Island’s largest town, Saint-Pierre-d’Oléron. There were smatterings of historical buildings in this town, but it was largely utilitarian. Although comforting to know you can easily source all your essentials if you’re here for an extended holiday, we decided it wasn’t worth sticking around to explore further. Stopping briefly to stock up on fresh baguettes and antipasto for lunch, we also spotted le comptoir du sushi on the way past. Popping in for a platter of vegetarian sushi, we were served up a quick run down of local island life with our lunch. Driving west, we followed the signs to Fort Royer, a traditional oyster farming village. The multicoloured oyster huts are scattered over the landscape like drippings from a painter’s brush. 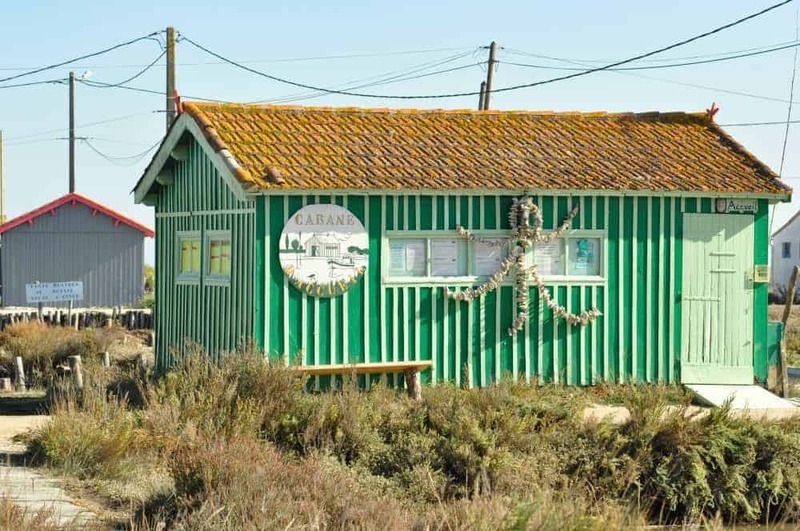 Only a third of the wonderfully unique huts here are still used for oyster farming, the rest converted into artist studios. We lazily wandered through the farm, over wooden bridges and past piled crates of oyster shells to the beach behind the oyster beds. The beach was wonderfully rustic and luckily for us, also a deserted oasis on the island. We kicked around in the sand for a bit, picking up the odd piece of plastic debris on the beach – relocating it to a nearby bin before heading back to the car to explore further. Our next stop was plage de Boyardville. A generous white sand beach where the Perrotine canal meets the ocean. Flagged as a place to view Fort Boyard (filming location for the French gameshow of the same name), we were a little disappointed to realise the fort was quite far off shore*. You’d need a decent zoom to get a good view! A popular spot for families, it was the ideal place to shake out our picnic rug and have a seaside lunch. * A better spot for viewing the fort is from nearby Pointe des Saumonards. After devouring our meal, we jumped back in the car and immediately wished we had brought our bikes with us. 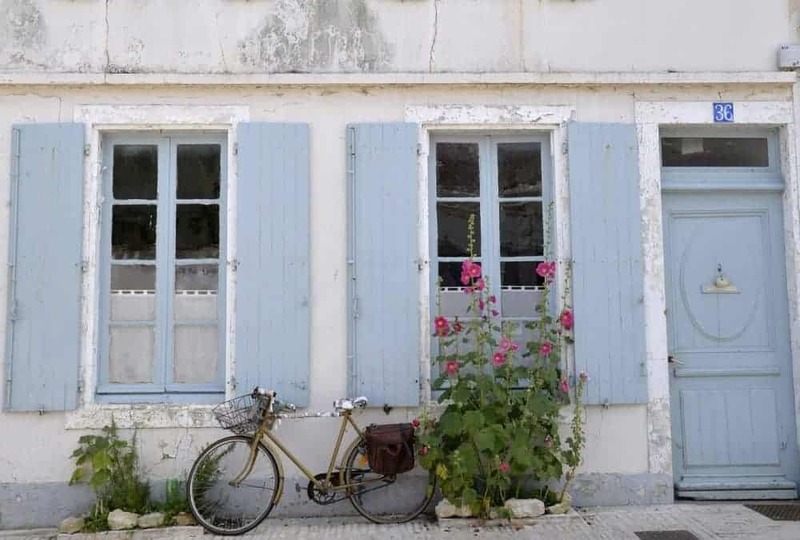 If there was ever a perfect place to ditch the car and jump on a bike – the île d’Oléron is it. With endless cycle trails, the landscape is pancake flat as you whiz past countless oyster farms, leafy vineyards and shaded pine forests. We drove deep into the Saumonards forest before realising we couldn’t drive right through the forest. The road ends at a parking area for the Saumonards beach. With limited time, we didn’t stop to walk through the grassy dunes to the beach, instead retracing our path and then following the coast north towards the Chassiron lighthouse. Driving up the eastern coast, it struck us how much this island in the Atlantic reminded us of New Zealand. The laid back vibe, wild beaches, and the rugged rural landscape all helped in transporting us back to our home in the South Pacific. As we approached Chassiron the sun was low in the sky, casting a warm glow over the pebble beaches that lined the road. 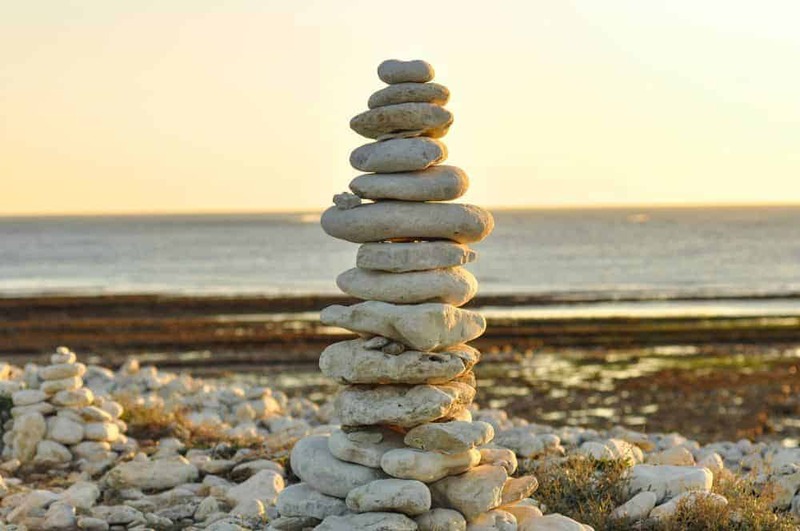 Rock sculptures were peppered along the coast, with visitors adding to the stony artworks or simply stopping to admire them as we did. You can access Chassiron lighthouse and the surrounding gardens for a small charge, allowing you to take in the impressive view from the balcony at the top. If you follow my travels on Instagram you’ll already know that we arrived outside of opening hours and had to admire it from afar! There are plenty of free car parks near the lighthouse, but the area isn’t devoid of the usual tourist trappings. There is a small village of shops selling crepes, ice cream, souvenirs and gifts. As well as a mini go-cart track for kids (only open during the summer months). Walking around the cliffs on the island’s northernmost point, we looked for recognisable landmarks in the distance. The sun was sinking further and further in the sky, towards the endless blue ocean. 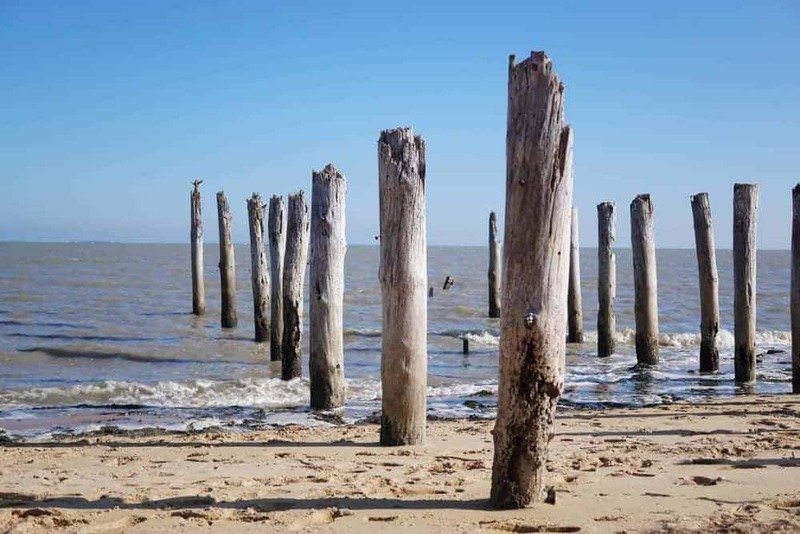 And with that, we bid au revoir to île d’Oléron, knowing we’ll be back another day to discover what lies on the western shores of this dynamic French island. 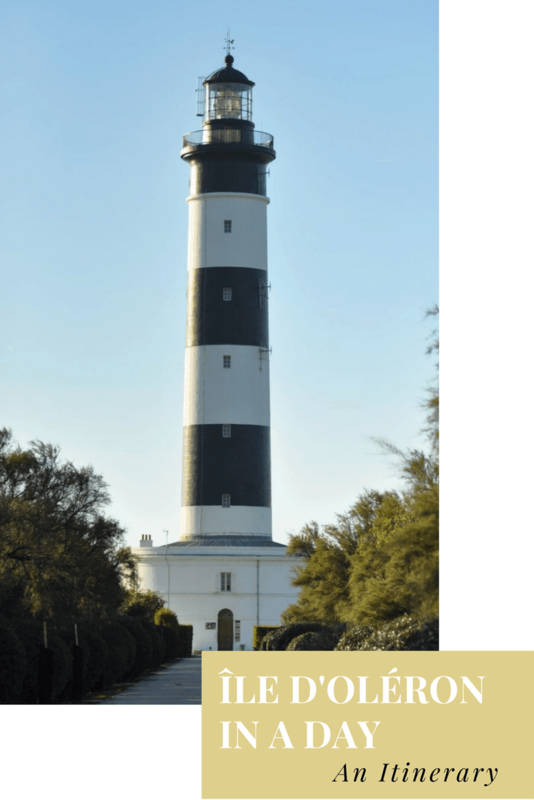 Check out our summarised itinerary below to start planning your trip to Oléron Island! Château-d’Oléron – to stroll around the town & visit the citadel. 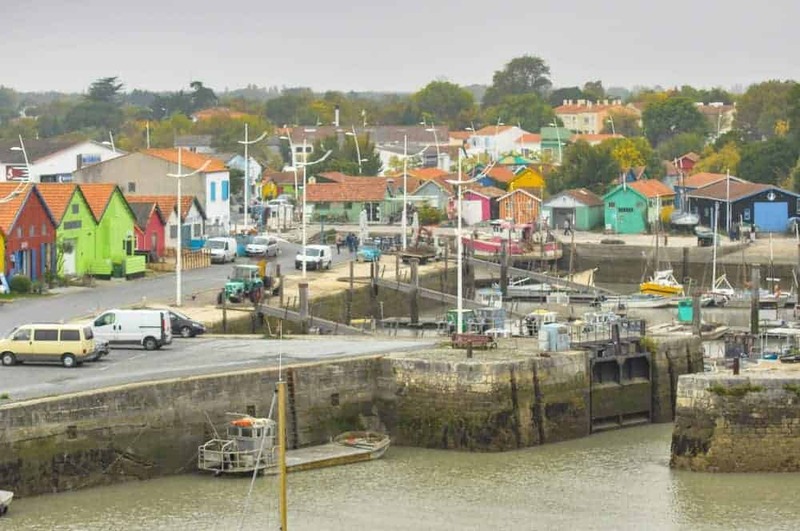 Saint-Pierre-d’Oléron – for lunch on your way up north. 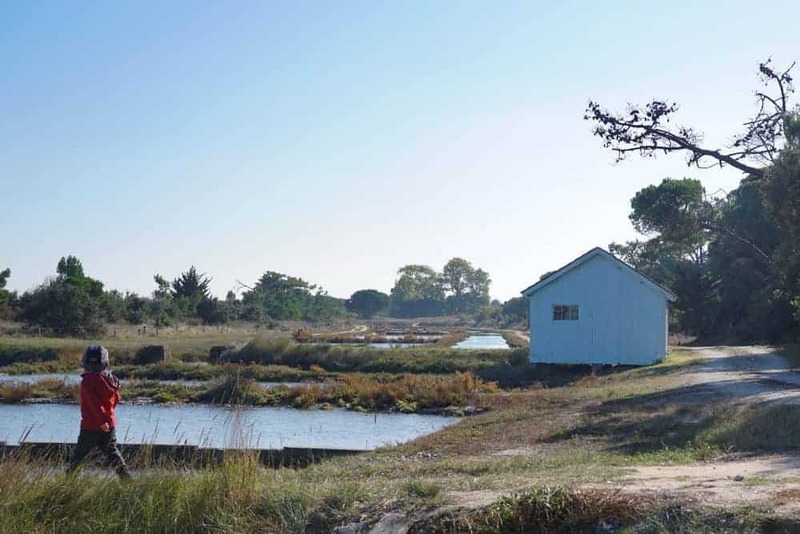 Fort Royer – to see a traditional oyster farm, artist huts and beautiful beach. 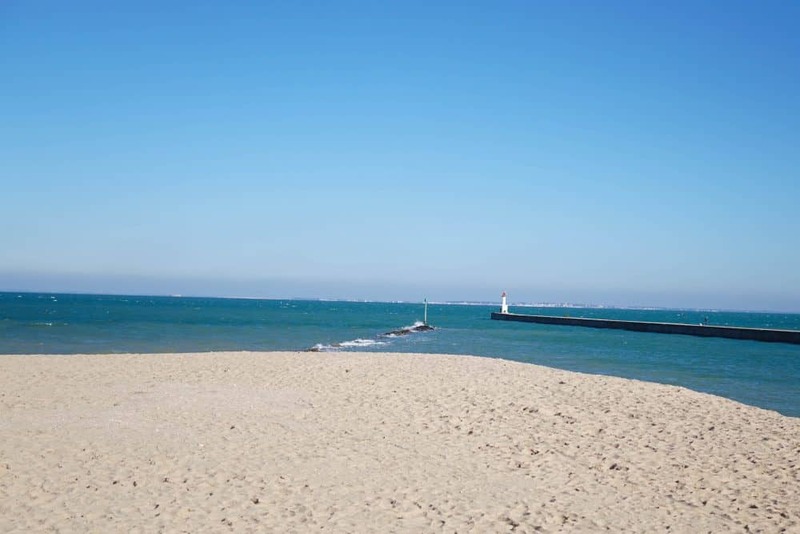 Plage de Boyardville – to see the Perrotine canal, fishing boats and enjoy the beach. 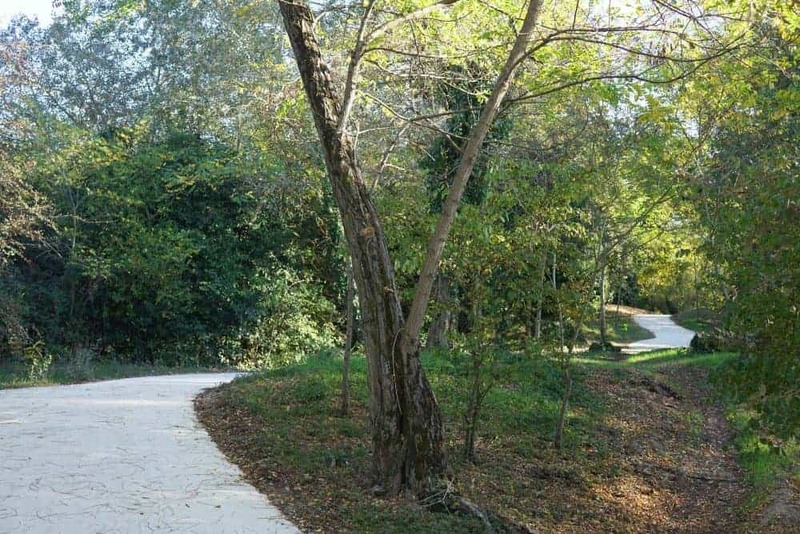 Saumonards forest – for a forest walk or bike ride through the pines. 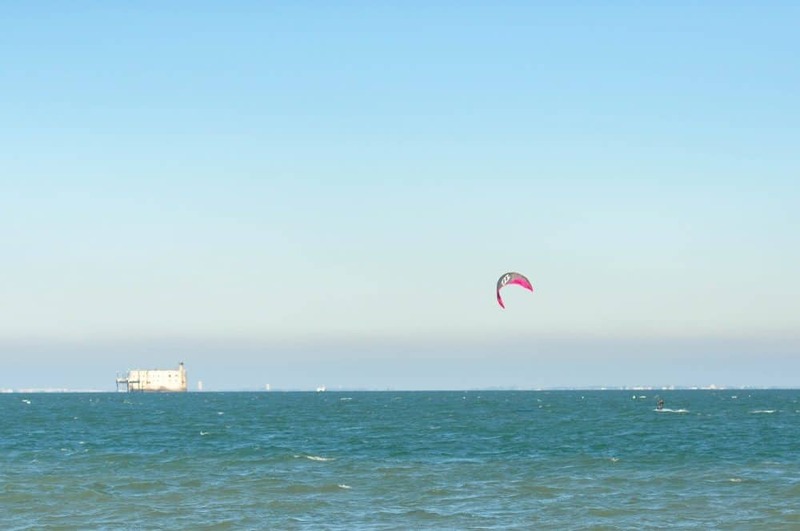 Pointe des Saumonards – to get a good view of Fort Boyard. 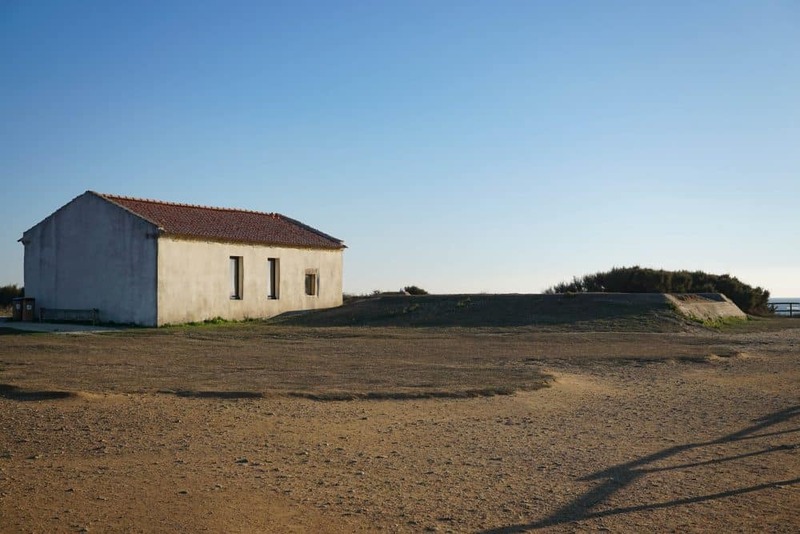 Chassiron lighthouse – to visit the lighthouse & gardens, see the rock sculptures on the beach and walk around the northernmost point of the island. That’s great Alex – thanks so much for letting me know! Yes, the fog lifted and the day ended beautifully. 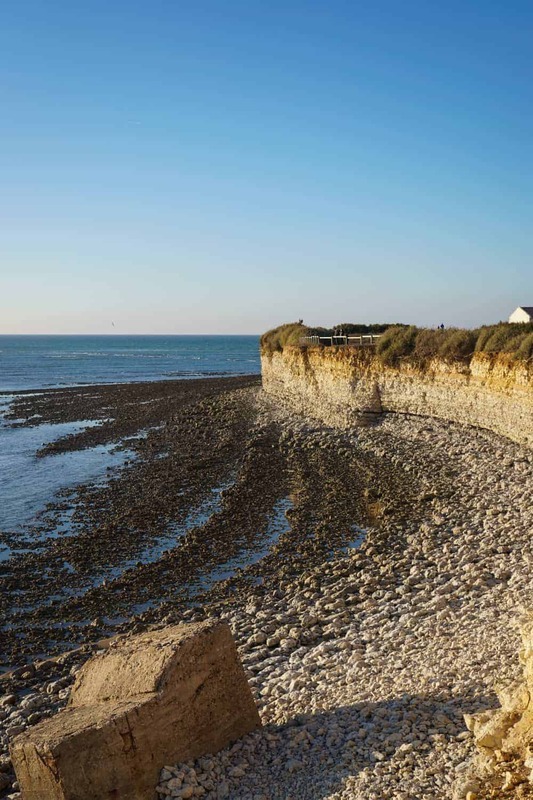 I hope you do plan to visit – the West coast of France has some amazing spots to discover! I love fishing towns. Haven’t been to any in France but along the coasts of the US there’s so much history and local color, especially along the Eastern Seaboard. Love your pictures too. Thanks so much Elaine. Maybe one day I’ll get to explore the fishing villages of the US too! 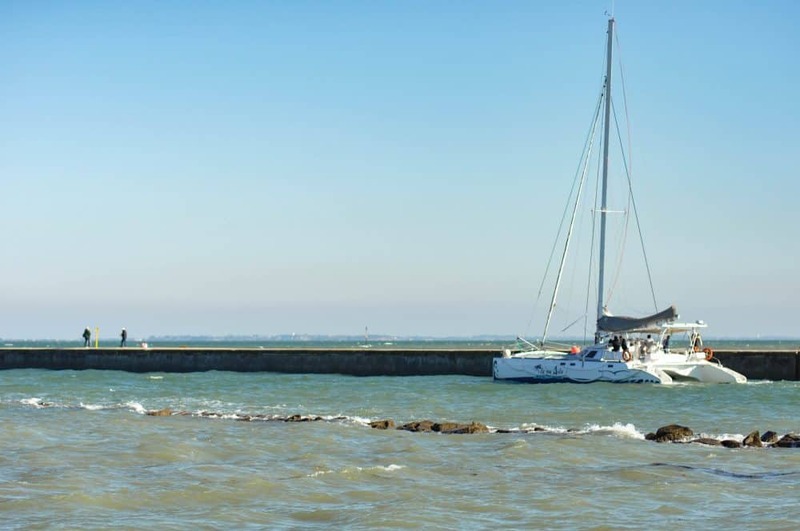 I hadn’t heard of Oléron Island before, so thanks for the introduction! Awesome to know that you can make a day trip happen if there’s not enough time for a proper holiday – where did you roadtrip from? Totally a new place to me. But the way you described does increase my curiosity. The rock stacks look beautiful against the blue sky and the little boy walking almost tells a story. This place sounds beautiful. I love the feel of all your photos. Sounds like a great day trip to me! Beautiful and I wasn’t even aware of its existence. Loved the coloured houses and it seems the island has a lot to offer with its almost rustic charm and monuments/architecture. Loved the photos. Thanks so much! It was indeed a lovely place to explore. Looks like the island has a rugged and windswept coastline. Is there anywhere to stay on the island? Or is visiting on a day trip the best way to explore? Thanks Jenna, you should visit if you’re ever in France! 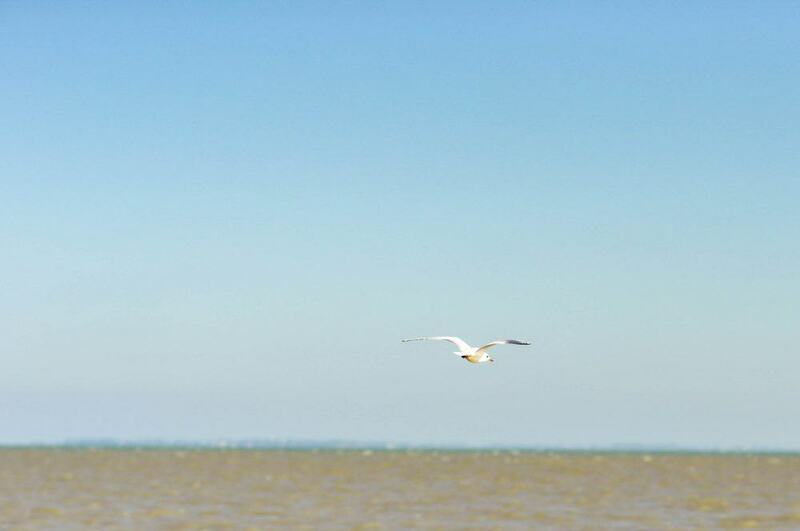 I would have loved to spend longer exploring the Île d’Oléron. Popping over from Instagram to have a quick look at your blog before I go to bed…looks lovely and I’ll be back to have a good look around tomorrow. I’m half Aussie (half Brit) based in France, so some similarities, being from the other side of the world….. 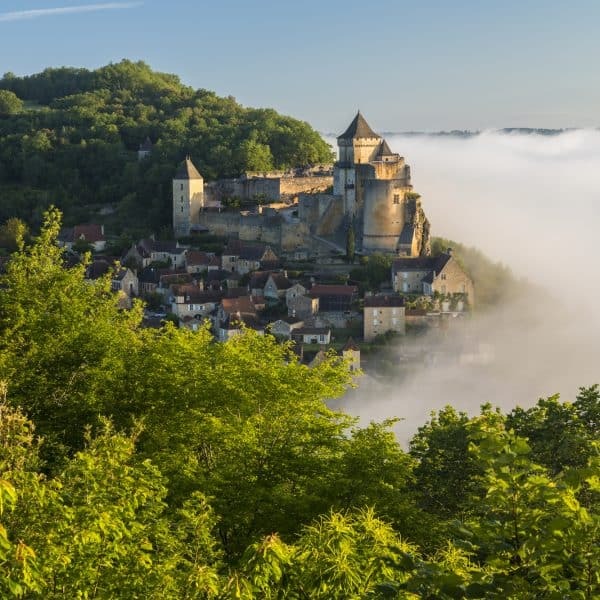 I run a linkup #AllAboutFrance on my blog if you’re interested in joining in. Hey Phoebe! Thanks so much for popping over 🙂 That sounds interesting, I’ll check it out now! I actually think I saw d’oleron on a travel special once! I absolutely love France and appreciate how there are always new cities and places to see. What a fun day trip! It’s too bad that you didn’t get to go inside the lighthouse, but you still got some beautiful photos! 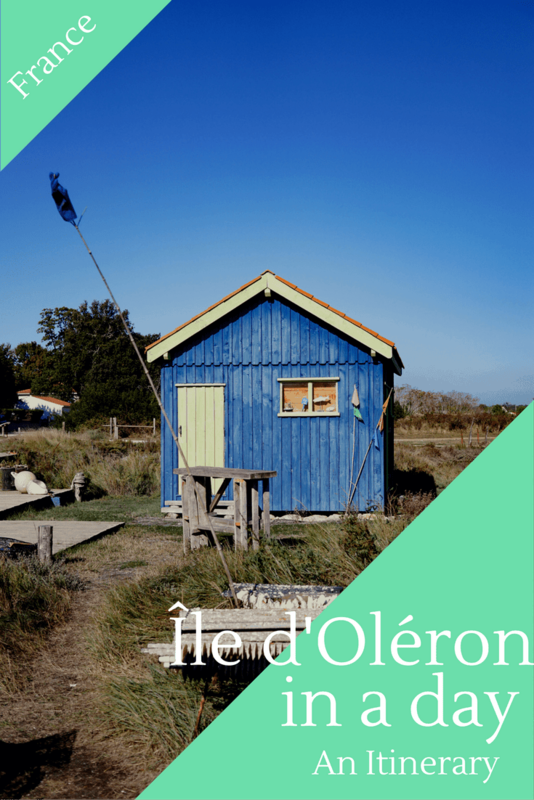 I had never even heard of Oléron Island, so this was a great introduction! Been there last summer in July. It is more then worth a visit. So much to offer! Been on top And inside the light house. Defenetly worth it. Looks like time has frozen there. Amazing island And even more amazing fresh seafood Every day. Nice pictures !